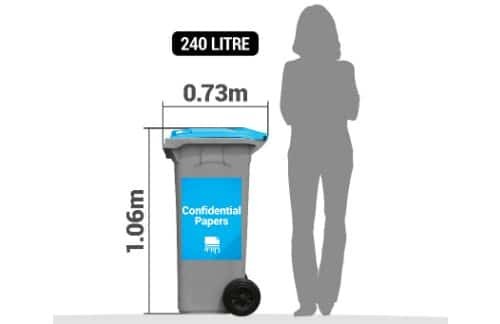 Secure shredding of confidential paper. Service team will swapover bin for new bin inside your work place each collection (the bin should not be positioned on street for collection). Rate shown exclusive of GST. Pricing is for individual bin collection. Unit price discounts will be applied to your rates for contracting multiple services. These reductions will be applied in the cart.Note: 120 litre service can be provided at same price.